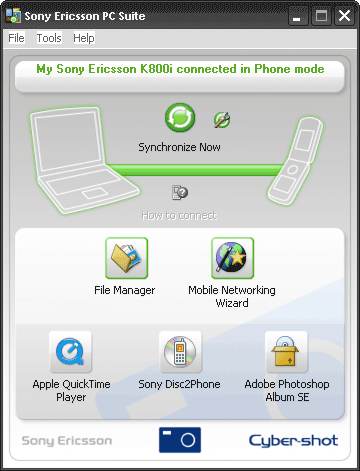 The Sony Ericsson PC Suite connects your phone to your computer so you can synchronise and manage your personal data (such as calendar and contact information) and connect your computer to the Internet via the phone. Choose any of the following connections that are applicable with your phone: USB cable, Infrared or Bluetooth connection. Aku dah ada dah benda nih. Software ni cam lembap ar. Tapi ada pembaharuan skit dr sblm ni.